Castles in the grass! Who would have expected to find a fair-dinkum castle as you drive through the Central West of NSW, past grazing sheep, and broad paddocks of wheat and canola? But there it is - the Iandra Castle. 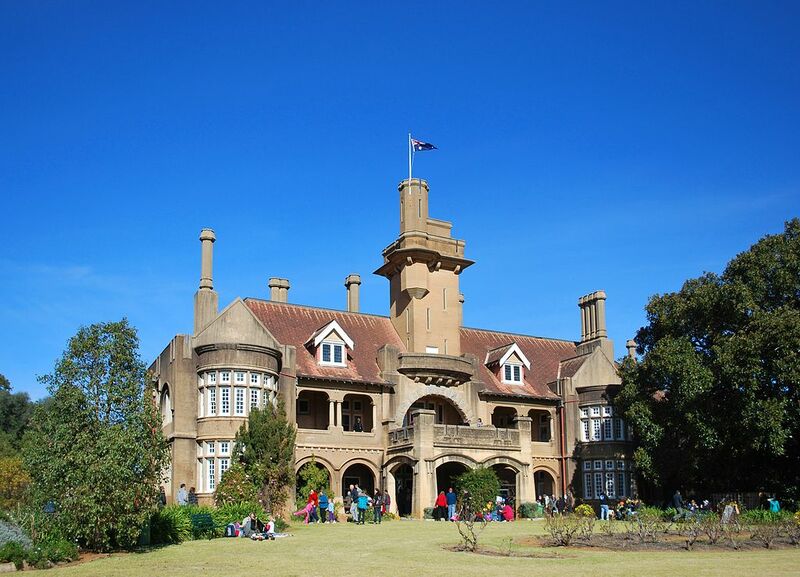 Join Ian Bottcher as he leads a one-day run to Iandra Castle near Young in Central West NSW. The castle and its gardens are a spectacular landmark (see iandracastle.com.au ) and it’s an easy run of about 170k’s from Canberra. Ian has the 30 people needed to open the castle but there's room for a few more. If you are interested contact Ian on ianbottcher@grapevine.com.au or 0478 729 667 by Sunday 21st April at the latest. The entry cost will only be $15 per head for 30 members, which will be collected at departure from the Hall lay-by at 9.00am on the 28th. A morning tea stop will be held in beautiful Boorowa. Also, bring a picnic lunch to enjoy in the beautiful castle grounds.